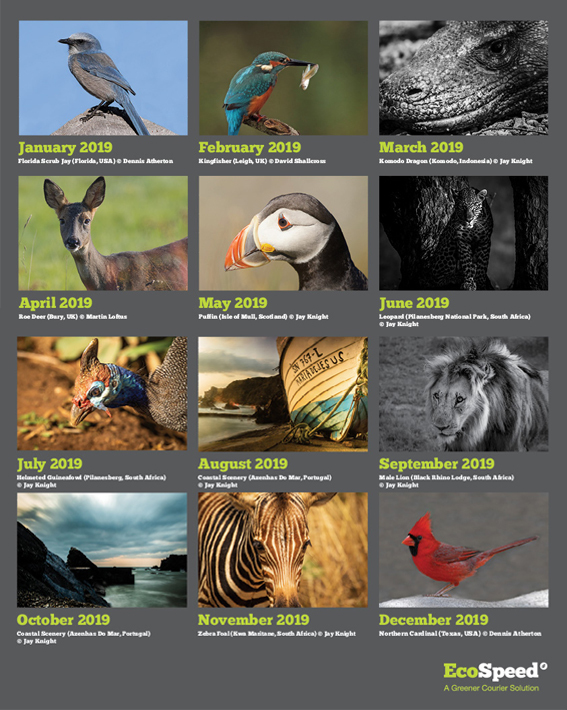 The EcoSpeed 2019 Calendar is now available, featuring a selection of high quality wildlife photography. Amongst the photos in the calendar, are stunning shots from our director Jay Knight, taken in Indonesia, South Africa, Portugal and Scotland. Please get in touch ASAP if you would like an EcoSpeed Calendar sending out. Only a limited amount have been printed, so they are sent on a first come first serve basis.